It’s not just about discovering a place; it’s about discovering your place within it. Becoming a part of the Snake River Sporting Club family means forging your own path: woods, pasture, mountain, river. 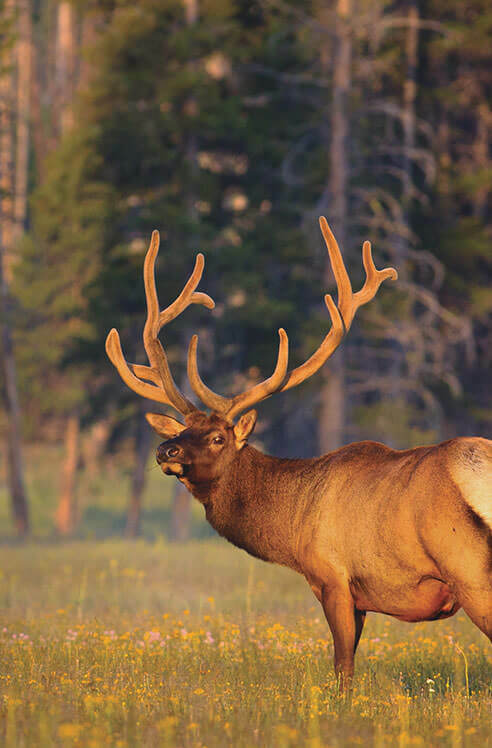 The Ranches Estates, The Residences, and The Lodges all offer the Jackson Hole lifestyle in ways that honor the legacy of family, wildlife, and the outdoor life. Join this story. Make it your own. Turn-key resort ownership with three unique floor plans and the flexibility of inclusion in the rental program. 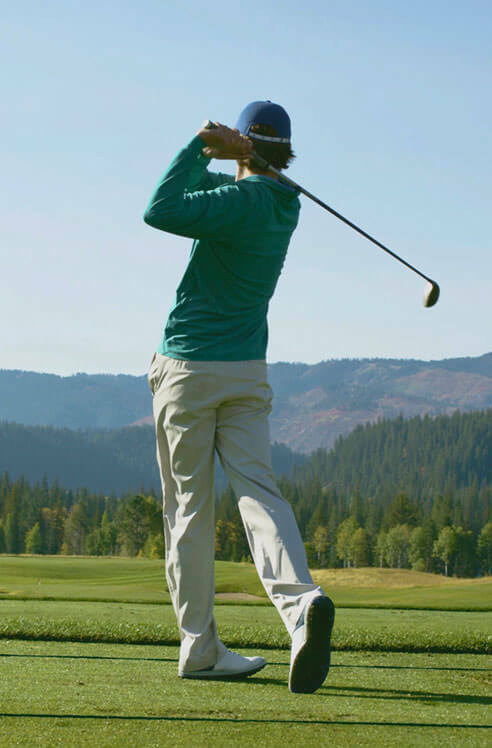 Residential lots and custom homes thoughtfully sited to maximize solitude and access to the Championship Golf Course and the Snake River. Unparalleled large parcel, irrigated ranch properties with sweeping views of the surrounding mountains and the Snake River Canyon. Located in the center of the development yet facing towards the horizon, the homes of Caddis Court never vary in their superlative craftsmanship. Each one is designed to uniquely maximize the views from its many windows down the rolling Snake River valley and into lush stands of Cottonwood trees. Others rest harmoniously at the edge of the lake or adjacent to a championship golf course. Representing their ethos of individuality grounded within impeccable design, every Caddis Court residence radiates from an open oor plan. Heavy timber Lodge-style beam work, rustic plank ooring, and stone complete a contemporary palette that is still very much of the West. A generous outdoor deck and optional screened porch create the extended family living spaces that spark tall tales around the camp re and nurture an authentic spirit of place. The spacious, airy Fairway Lodges provide the ideal canvas for a group stay at Snake River Sporting Club. Purposeful design choices center an amply sized kitchen and great room for entertaining, while four equally capacious en suite bedrooms offer privacy for couples and family members. These bedrooms can also be locked off and offer self-sufficient kitchenettes. Open views from the backyard, decks, and a plum location on the 11th fairway connect each Fairway Lodge to all of the amenities of a stay at the Club. Join the community bike paths; stroll down to the banks of the Snake River; head right from your front door to the first tee. A clean design, natural materials, and outdoor living space come together here in a celebration of togetherness or cozy solitude. You simply decide how it will be. The Astoria Lodges are for homeowners who go their own way. An ingenious floor plan allows owners or visiting tenants to lock off a bedroom, creating flexible options for space and sleeping arrangements. Heaven-scraping windows beneath modern, clean-lined roofs pattern the warm interiors with the shifting shadows of conifers and clouds. The wizening patina of reclaimed barn wood hearkens to the West’s defiant individuality while multiple deck nooks and enclaves beckon all comers to take in the pure, pine-scented air. Here is peace. This is your lot in the woods with all the building logistics taken care of beforehand. Escape to your own corner abutting the Bridger-Teton National Forest and unlimited Wolf Mountain vistas without sacri cing any design desires. Pasture your horses on a shared lot nearby; pull your deck chairs out in the summer to enjoy the special light ltered beneath your quaking aspen grove. Nothing can disturb your retreat except the sounds of nature and the wildlife you now call your neighbor. Seamless. 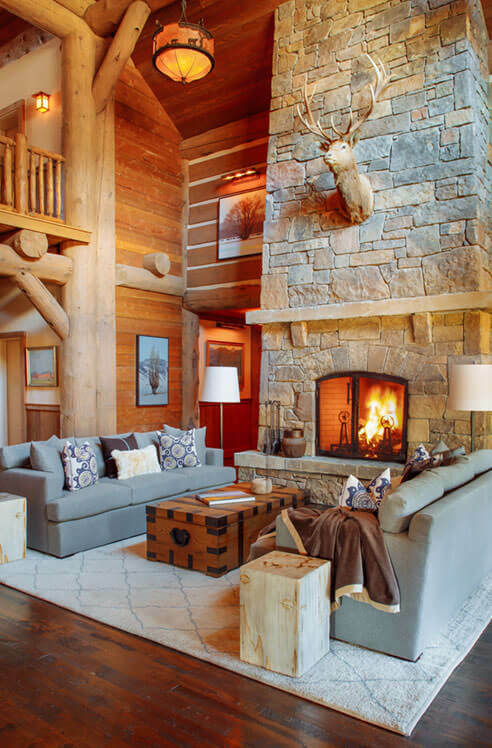 That’s how it should feel owning property in Jackson Hole, and that’s what our dedicated property management services offer to members and their guests. 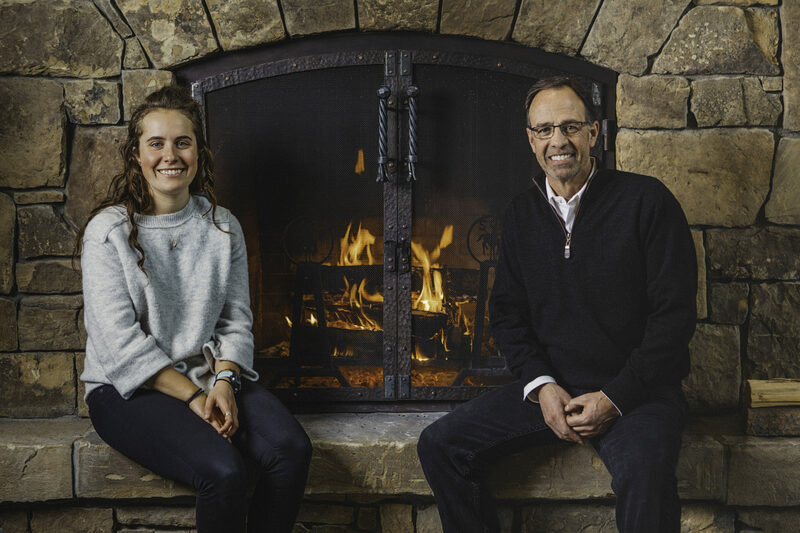 From monitoring snow levels in the quieter winter months to administering landscaping or perfectly choreographing your home so it’s family-ready from the moment you return from elsewhere, our property management team is dedicated to taking this task off your list. We leave you to worry about really matters—your next day’s adventure. This sprawling five-bedroom, seven-bath mountain contemporary home was designed by Carney Logan Burke to blend into its natural surroundings. The exterior features a mix of barn wood, limestone, and copper, with angled roofs and plenty of sloping lines. There are plenty of reasons to be thankful for owning a home in Jackson Hole, Wyoming: the mountains, the rivers, two national parks and three ski resorts, art galleries and restaurants, a charming Western-style downtown, and a close knit, philanthropic-minded and fun loving community. As enviable as our lifestyle is here, reality does intrude occasionally, as it will in mid-April when we pay our taxes. But even in that area, we as Wyoming residents are better off than most. After all, Wyoming has been cited by Bloomberg Wealth Management magazine as the most tax friendly state in the country. We can stretch our hard-earned dollars further, whether buying real estate, leaving property to our heirs or buying a new mountain bike. Below is a list of the top 10 tax benefits on why it’s good to own property in Wyoming.